The day after my daughter was born (21 years ago), my mother gave me a journal. It is a hard-cover blank book, 8 1/2 x 11 with a beautiful cover. I started writing in it the day we got home after her birth, thinking it would hold the wonder of her first year. Somewhere around her 15th birthday, I stopped, and there are perhaps 20 empty pages left. This past weekend we both read it. I hadn't even looked at it for years. I am so grateful to my mom for that nudge. It is filled with so many things that I could never have remembered. In the beginning, I wrote about the adjustments of going from a thoroughly capable mid-30's business woman to not having a clue what to do, how to manage around her schedule, and learning to cope with a lot less independence. I wrote about how deeply and completely I fell in love with her. Later, I recorded all of her big days, the cute little things she said and did, and how all of her relationships developed. As loved ones came into the world, others left, and all of those emotions and reactions are on those pages. Many, many pages talk about her developing personality and how we clashed from time to time. How the doctor told me that as difficult as her strong will might be, the day would come when we would understand how valuable it was - and his advice to let her own that, comforting her when she allowed it, but not punishing her (thank you, wise doctor). Historic events are there too, and the way we thought about them at the time. The wall between East and West Germany coming down, 9-11, Katrina, and many weather events and happenings that were more local. There are references to our struggles as a family, while both her father and I were involved in business start-ups at the same time, and the toll it took on everyone, eventually ending that marriage. Her first experiences with gardening and herbs are in there, as well as her love of animals, music, and dance. The thing that amazed me most reading over it was how valuable the information is to her now. It isn't just the history and how our lives played out with consequences she didn't understand (and now does), but how clearly she can see how real and sure her place is in my heart. My mother told me she loved me, but I didn't get it until I held my own child. Yet here is a book-long love letter, filled with pictures, hair clippings, details, nicknames, and all the back-story. Over the years, I've written a boatload of words. This is the one pile of words that means the most. 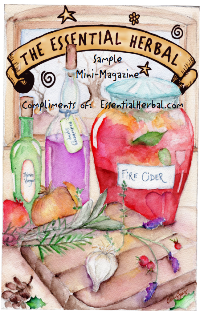 Last year in the Jan/Feb '11 issue of The Essential Herbal, Betsy May wrote an article about some simple remedies that can help during the season of colds and flu. At this time of year, you can never have too many choices. Hopefully among those offered, there will be choices that you can make and/or have on hand. The most important thing is to have what you need before you get too sick to go out and get them. You also want to have what you need easily available before you feel that scratch at the back of your throat or that muscular ache in your arms and shoulders. This recipe can be followed very loosely and you can feel free to adjust the amount of ingredients depending on what you have on hand. As you will see, while I did attempt to record my recipe as I formulated it, I didn’t weigh out the exact amount of herbs I used; instead I used the un-scientific method of measuring by volume. This bath works wonders for dry, itchy skin. Infuse 2 quarts of water with about ¼ - 1/2 cup of Yarrow (leaves & flowers), ¼ cup of Comfrey leaves, 1 T St John’s Wort and a few dried Calendula flowers. Also add ¼ cup of powdered milk and ½ cup of oatmeal. Infuse for 15 minutes. Strain and put herbs into a stocking or muslin bag. Draw a warm bath and add the infusion, bag of herbs, and essential oils (I used 6 drops of Lavender essential oil and 6 drops of Patchouli). Be sure to rinse bathtub well afterwards as this can sometimes leave a yellow film in the tub). 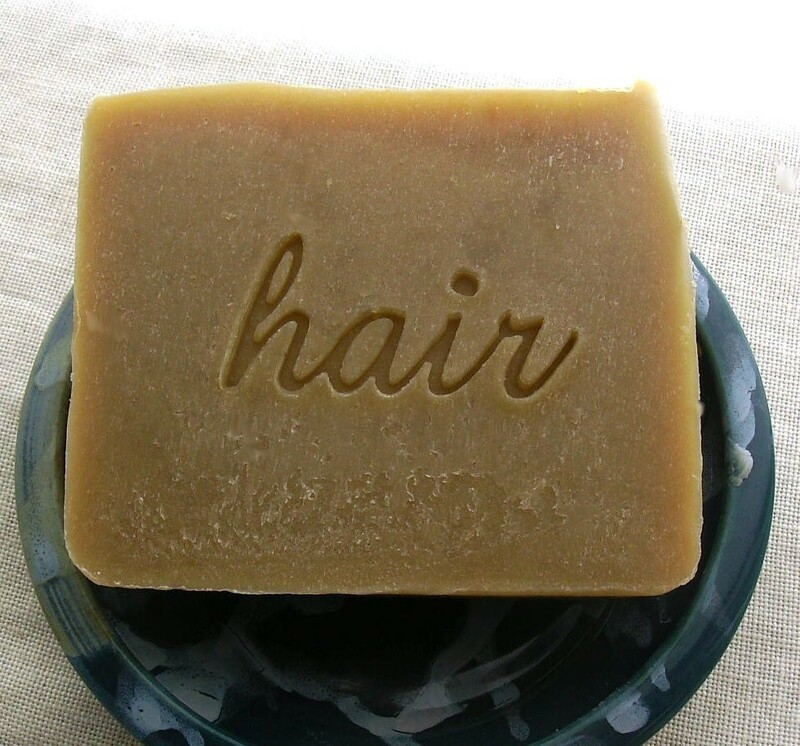 Use after the winter bath recipe for lusciously hydrated skin. People I have given this cream to have also reported on its ability to aid in the healing of small cuts and scratches. Heat oils & beeswax and cool to almost room temperature (oils will look thick and creamy like yogurt). Put the oils and beeswax in a blender and slowly add the Yarrow infused water, Aloe Vera gel, and essential oils. It may take a few tries to get this cream to the right consistency but the key is to have the temperature of the oils and the water at as close to the same temperature as possible. Note: You may want to have a special blender just for making herbal preparations because the blender may take on the smell of the herbs or essential oils you are using. If you are using your good kitchen blender, then do not add essential oils until you put the lotion into a container. Feel free to adjust the amount or type of essential oils to your preference. I chose these particular essential oils because of their usefulness for achy muscles and congested sinuses. Mix all ingredients and store in airtight container. Use approximately ½- 1 cup per bath. This recipe originally comes from Rosemary Gladstar. I altered the amount of ingredients by adding more apple cider vinegar. The additional vinegar seemed to provide greater relief for my scratchy, sore throat. Mix all ingredients and use to gargle every half hour. Turn heat off and add 2 tsp Sage and let sit 20-30 minutes. Put into a spray bottle and spray throat every 20-30 minutes or as often as needed. The essential oils were recommended by Jeanne Rose and definitely improve this formula immensely, however, if you don’t have them on hand feel free to make the spray without them. Slice one ginger root into thin strips and cover with honey. Let sit for several months or to speed up the process, heat gently over low heat for 20-30 minutes. Use in teas or take by the spoonful for colds and sore throats. This is an old fashioned technique that my grandmother would use on me when I was a small child and had pneumonia (much to the chagrin of my very traditional pediatrician). It is used to break up chest congestion and relieve the pain of coughing. I must stress though, to use with caution and keep a close eye on this treatment to avoid irritated skin or possible burns. Mix flour and mustard together (for very small children use less mustard). Add enough hot water to make a paste. Spread mixture on a piece of flannel, leaving enough room around the edges so that the paste does not leak out. Cover with the other piece of cloth. (My grandmother actually used a plastic grocery bag and put the mixture in that, I’m assuming because it made for easier clean up later. If you use a plastic bag I would also put a piece of flannel between the plastic bag and the chest to protect the skin from burns.) Place the flannel “packet” on the chest and leave on for approximately 20 minutes or until the skin becomes red. The plaster can be refrigerated and re-used several times, re-heating in the microwave. Additional comfort care…By the time is issue reaches you, we will be well into the middle of the flu season. Already we are hearing reports of record numbers of cases of the flu. Chances are you or someone you love will be hit this year. Keep these additional supplies on hand so you are ready when the time comes. Not all of these little “grandmotherly” remedies will cure the cold or flu, but they will provide a welcome sense of comfort. A supply of freshly laundered sheets; nothing feels better when you’re sick than a nice clean bed. “Nursery” food (Cream of Wheat, rice pudding, chicken noodle soup, or whatever childhood food means comfort to you). Sometimes, going out to pick up the mail is all it takes to crack me up. For the past two days, I've wandered back to the office smiling. Today in fact, I burst out laughing and haven't actually stopped yet. 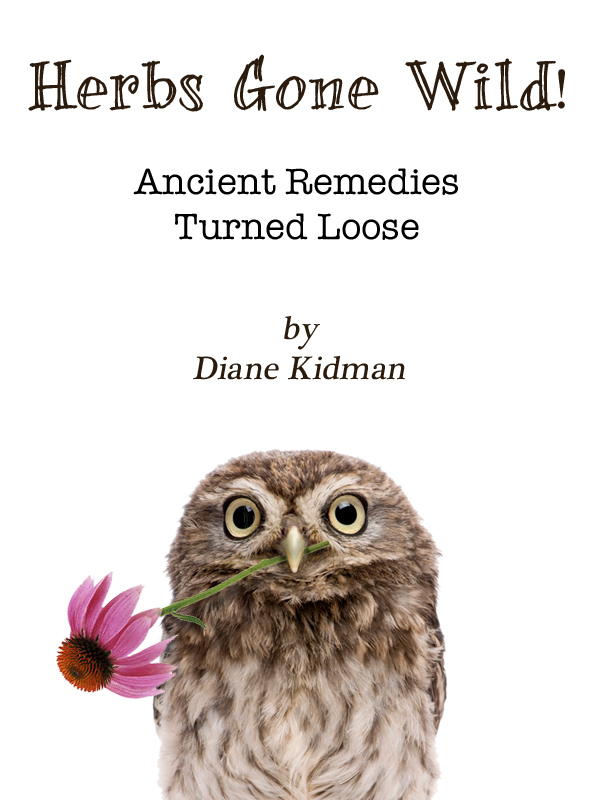 Yesterday was a sweetly decorated envelope with an herb lady, whose skirt held my address, and a new book, just released from one our friends/writers, and fellow renaissance faire herb ladies, Sue-Ryn Burns (available from HillWoman.com). Sue-Ryn's envelope was also beautiful, decorated with stars and fairies - but I neglected to put it in the photo. Today's surprise came from Debbie Stiffler, a fellow herbie from up north. I wasn't expecting anything, so imagine my surprise when, upon opening the box out popped Punxatawney Phil AND Phyllis, along with a wee glycerine soap in the shape of - you guessed it - a groundhog! I've had an on-going "relationship" with the resident live groundhogs here, and perhaps have been a little too vocal about it. Could it have been the out-of-print Jan/Feb '05 issue of The Essential Herbal where I had my brother Photoshop a groundhog into an underground jail made of roots? Was it the golden marmot (that didn't fool me, by the way, it was a groundhog) hand-puppet that my sister brought me back from Colorado last summer that I promptly and accidentally managed to burn on a lightbulb? And who now rests upon a porch newel post as a warning to other "golden marmots" who may consider living too close to me? I will have to THANK Debra for making sure I have new ones. In any case, so often, the mailbox holds something that makes me smile. When someone goes to the trouble to write and mail me a note to tell me they like the work we do here, it somehow touches me in a way that an email usually doesn't (although there are many, many exceptions to that rule). I will miss Saturday deliveries if they go away. We work on Saturdays, so we'd miss it. If the entire mail system went away, it would be a tremendous loss. Consider writing someone a letter or note. I guarantee they'll enjoy it. 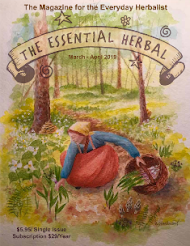 The Mar/Apr issue of The Essential Herbal Magazine is *this* close to shipping off to the printer (and we are so delighted with all the scrumptious stuff you'll find inside! ), so I got on my wandering shoes the other day to see what was happening outside. No matter what time of year it is, Mother Nature provides us with some interesting sights to see. This year in particular, the poor plants seem to be confused, but I'm relatively sure that they'll figure it out by the time spring arrives. I'm ready for spring. Herb-wise, all the dried herbs are stripped and jarred, tinctures are strained and decanted, and the teas are blended. Soon it will be time to start over again! Well... not really soon, but time is flying. There are lots of beautiful seedheads to be seen. Monarda is a series of tightly bunched tubes. The echinacea has been picked pretty clean by the finches. Anise hyssop almost looks like a fat lavender spike in silhouette. Evening primrose looks like long, thin golden trumpets, and if turned upside down, there are still seeds rattling around in there. Goldenrod stems are still full of fluffy seeds, like winter white flowers blowing in the wind. Hayseeds poke up through the reawakening lavender. Around here, a variety of beautiful cones adorn the many evergreens. I've been negligent about deadheading the oregano, and now have an enormous patch because of that. It makes the bees so happy that it's hard to cut it back. The little cup fungus that managed to ride along with last year's mulch is going to have to be turned under this year. In the summer, little black spores shoot up from the cups and attach to whatever is growing above. Not what I had in mind. The swollen tips of the dogwood branches stand against the sky. And yet, in the sunnier spots, we have glimpses of spring. Mugwort pops up between the budding daffodils. Baby-blue-eyes are throughout the yard. And one brave, bright dandelion blooms, happily oblivious to the fact that it was under snow last week. It feels great to get outside and walk around whenever the sky isn't leaking. It's rejuvenating, reduces stress, and helps us to get some vitamin D from the sun. For me, I get the chance to see how all of my plants look at different times of the year, except those darlings that hide away completely under the soil. They'll be greeted like long lost friends in the spring! Originally published in The Essential Herbal Magazine in the Mar/Apr '08 issue, it seems like this is a great time for folks to try something they've been wanting to do for a while. Betsy taught my sister and me to make mozzarella, and nothing compares to homemade! One of my favorite things to do with fresh herbs is use them to flavor home made cheese. There is nothing better than a crusty piece of French bread, fresh Chevre flavored with basil and garlic, and warm diced tomatoes spread over top! Making soft cheeses is quick, easy, fun, and best of all it requires very little equipment. The concept of how milk turns into cheese is relatively simple. Milk is mainly made up of water and proteins. To make cheese, you basically have to separate the proteins (curds) from the water (whey) by causing the milk to coagulate. The proteins stick together and form small lumps called curds, which are cut to release any remaining whey and then eventually they form a beautiful ball of soft round white cheese. Equipment: The only equipment you will need is a stainless steel, glass, or enamel pot (no aluminum, it can make the cheese taste funny), a long knife that reaches to the bottom of your pot, a thermometer (one that measures temperatures as low as 65 degrees), a slotted spoon, and butter muslin. Butter muslin is very similar to cheesecloth but has a finer weave. You could use regular cheese cloth but I would double it up so that you aren’t losing any curds during the draining process. When making cheese it is imperative to make sure that all tools are clean and sterilized to prevent growth of unfriendly bacteria. I boil all of my supplies in a pot for about 5-10 minutes just to make sure everything is completely sterilized. Ingredients: You will only need three ingredients for my recipes; rennet, culture, and milk. Rennet is used to coagulate milk. It is an enzyme that originally came from the stomach of a calf. How man ever figured out that it would make cheese is a story for another day. These days there is also the option of getting vegetable rennet which is made from, you guessed it, herbs! There are many herbs that can be used to coagulate milk such as bark from the fig tree, lady’s bedstraw, nettles, butterwort, knapweed, and yarrow. I have never been adventurous enough to try making my own rennet though; cheese is enough for me! I buy my rennet from New England Cheesemaking Supply Company, a fabulous company. 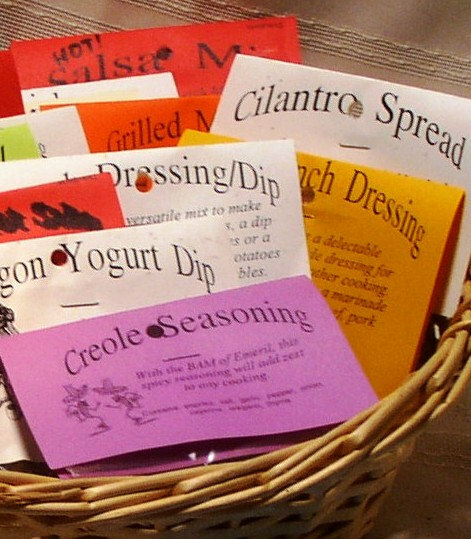 Not only have herbs been used to make cheese, they have also been used to color cheese. Historically, yellow cheeses were desired because they were thought to contain more butterfat. Cheesemakers would add marigold petals, saffron, and hawthorn buds to their cheeses to turn them a beautiful yellow color in order to be able to charge more for their product. New England Cheesemaking Supply Company also sells direct set cultures for cheese making, which I prefer using over a mother culture. Direct set cultures are more convenient as they are simply a packet of powder that is added to the milk and used to create a specific culture, depending on the type of cheese you want to make. Direct set cultures leave less room for unhealthy bacteria to grow because you are handling it less, and there is no need to keep a mother culture. As for milk, technically you can use any type of milk straight from the grocery store. You can even use powdered milk. The main thing to remember is that you cannot use ultra-pasteurized milk because it is heated to such a high temperature that it usually will not work and you will end up with some runny looking ricotta. I prefer to use raw milk for my cheese. If you live in an area where raw milk is available I highly recommend trying it, just make sure to purchase it from a reputable farmer. I think it makes a more rich tasting cheese. Basic Directions: Each cheese recipe is slightly different, but there are really only four basic steps to making soft cheese. Once you become familiar with these basic procedures you can make just about any recipe. To begin, you will heat the milk and add the culture and/or rennet. Next the milk generally left to sit until a curd is formed and well set. You will know once the curd is set because it will start to pull away from the sides of the pot, leaving a clear liquid. This liquid is the whey. You can also stick your finger or curd knife into the cheese. If the curd looks firm and releases a clear, greenish colored liquid when separated, it is set. Once the curds are set they are ready to be cut. You want to use the back (smooth) side of the knife to cut with. (They sell a special knife called a curd knife for this purpose which is smooth on both sides, but I think the back of a regular bread knife works just fine.) You want to slice the curd, sticking the knife the whole way down to the bottom of the pot, and cut acrossed, from left to right, about one inch apart. Then cut the same way but in the opposite direction, so that you end up with square pieces that look like a checker board. Basically, you just want to end up with equal sized pieces of curd about an inch or so in size, this will make it easier for the whey to drain out. Last of all, using the slotted spoon, place the curds in butter muslin or cheese cloth and hang to drain. It’s really that easy! 1. Heat milk to 72 degrees. 3. Ladle the curds into a strainer lined with butter muslin, tie the corners and hang to dry. 4. Allow the curd to drain 4-6 hours or until desired consistency. 1. Heat milk to 86 degrees. 2. Add Chevre starter culture. 4. Ladle the curds into a strainer lined with butter muslin. 5. Allow the curd to drain 4-6 hours. This cheese is similar to cream cheese but has less fat because it is made with mostly milk and only a small portion of cream. Combine and heat milk to 80 degrees. Add the starter and gently stir. Add the rennet and gently stir. Cover and let sit for 12-18 hours until the curd is set. Pour the curd into a strainer line with butter muslin, tie the corners and hang the cheese to drain. Below are some of my favorite herbs blends. They are formulated for 1 pound of cheese. They can be added to any of the above cheeses after they are done draining. One gallon of milk will make approximately 2 pounds of cheese. This gives you a lot of cheese to experiment with and create your own personal blends! I think I love herbal cheeses as much for their aesthetic beauty as for their taste. Instead of blending herbs into the cheese, try forming the cheese into a ball and roll it in herbs such as herbs de province, peppercorns, nuts, dried fruits and berries, or a rainbow of edible flower petals. Garnish with pansies or nasturtiums. Home Cheesemaking by Ricki Caroll is truly the bible for home cheesemakers and will teach you everything you need to know. 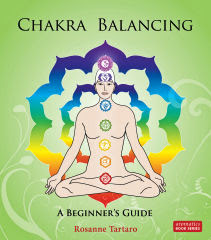 I can’t recommend Ricki Carroll’s books, website and catalog enough. She truly is the cheese queen. My goal is to someday be able to stretch mozzarella like Ricki! 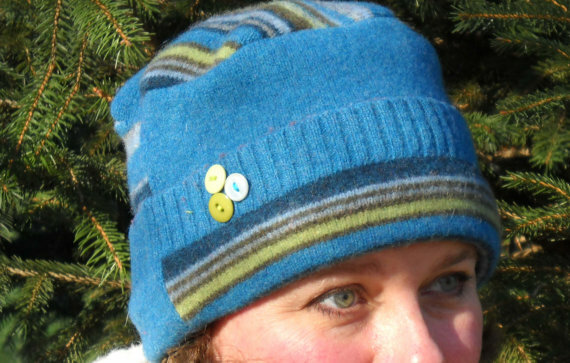 Check out the great pictures on her web site. She sells a fantastic 30 minute mozzarella kit. www.smalldairy.com is also a fabulous resource with tons of information on cheesemaking, cheesemakers, and where to buy supplies. Betsy May is a Certified Holistic Health Practitioner and Yoga Instructor with a love of all things herbal. She can be reached at betsy.may @hotmail.com. We are now offering a digital PDF version of The Essential Herbal Magazine especially for foreign subscribers and others who wish to go paperless. It has taken a couple of years worth of requests (when you may have thought we weren't listening), but we needed to first be sure that making this decision would not endanger our ability to continue printing the magazine. Overwhelmingly, our readers have let us know that they prefer to hold the magazine in their hands and turn the pages, savoring the experience. As long as there is a post office, we'll continue to print. The postage on foreign subscriptions has almost reached the cost of the subscriptions though, so it is time to reluctantly make this change. New and renewing foreign subscriptions will be PDF version only, while US subscribers may choose either the print or the PDF version. Otherwise, our 10th anniversary celebration continues with daily drawings from our subscribers through the end of the month. Little surprises (and some big ones) arrive in homes daily, and we're having a lot of fun with it. You can see the winners HERE. Later this week we expect to be restocking our web shop, since it was decimated prior to the holidays (thank you!) so be sure to check back as we'll post about the new stuff here. Work here on the farm doesn't slow down much over the winter, even if we aren't planting, weeding, and harvesting. Maryanne's wholesale soap business keeps us hopping as we work to refill the forlorn looking shelves (we're getting there). 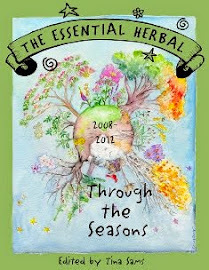 We just started work on the Mar/Apr '12 issue of The Essential Herbal yesterday, and we've begun a series of herbal classes here as well. We have several off-site lectures and classes scheduled for the next few months and the herb festivals are just over the horizon. In between, we get to play around with new recipes, formulate and test out new products, and just plain keep our hands in the herbs, oils, and scents. That's it for now. In 10 years we haven't had too many big changes, sticking to our original vision of a grassroots publication of herbalists and herbal enthusiasts sharing information as if sitting around a kitchen table. That will never change. This is one of very few changes, and as we welcome 2012, we're excited to be offering this new option. Marcy put together an article on delicious, nutritious soups to take us through the winter. Mushroom Ginger was one of the trio of great recipes. Ginger is a great anti-inflammatory and a good decongestant, and mushrooms can boost your immune response. Now doesn’t that make this a perfect soup to enjoy in the winter. Put mushrooms, ginger, and water in a pot with a lid and bring to a boil, then immediately turn down heat and simmer for 30 minutes. Remove from heat and take out ginger. Put ¼ cup of broth in a bowl and stir in miso paste and vinegar. Top with leeks or scallions. 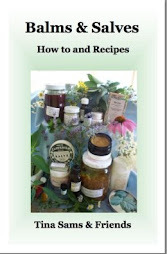 The following recipe was published in the Nov/Dec '11 issue of The Essential Herbal Magazine. There has been some discussion of how wonderful it is on the magazine's email list recently, so Marci gave me permission to post it here to share more widely. I’ve been working on this recipe for years, changing and trying to improve it each time. Family members with chronic pain issues were very candid Testers, and motivated me to get it right. I think it’s finally there. I offer blanket credit to every author of all the Herbal books I’ve ever read. This recipe has evolved from all of them, but is a copy of none. Counter-irritant ingredients confuse pain receptors, temporarily neutralizing the pain of sore muscles, lower back aches, tendonitis, arthritis and other sore spots. 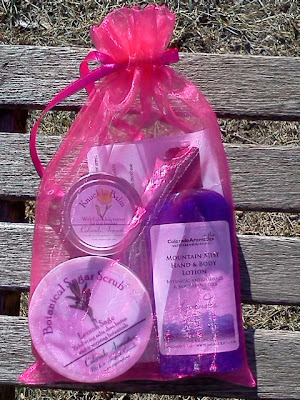 A tin of this balm makes a great gift, and is a valuable addition to your medicine cabinet. This balm is intended to be applied sparingly, and is for short term use. Gather the tins or jars you plan to use and place in the area where you’ll make this salve. Instructions below suggest a crock pot, but you can make it successfully on the stove in a Pyrex measuring cup set inside a saucepan. Combine in tightly sealed jar. Stir well, then set aside, at least overnight. The Menthol Crystals will slowly dissolve into the oil. NOTE: I learned the hard way NOT to melt Menthol Crystals into oil with applied heat. Menthol Crystals are unbelievably intense when heated! My entire house smelled like a jar of Vick’s Vapo-Rub for many hours. I learned the proper way to dissolve Menthol Crystals from Dina Falconi in her book, Earthly Bodies, Heavenly Hair. Heat in a small Crock Pot without using lid. Heat on lowest setting (several times) over a period of 1-2 days to evaporate all water content in the Cayenne or Ginger Root. The ideal temperature range is 95-110. If oil tests warmer than that, turn it off for an hour, then repeat. Don’t allow the oil to boil. I have made this balm without infusing the 2 cups of olive oil, when I was in a hurry, but I am sure it has a little extra worthwhile zing when it is infused. Combine Essential Oils in tightly lidded jar. Arrange tins or jars close together on a tray or cookie sheet, setting the lids around the edges of the tray where they will be easy to grab. As you fill each tin, you’ll immediately lay the lid over it, without pushing down or securing it. This action will help keep the volatile oils from evaporating as the balm cools in the tins. STRAIN THE 2 CUPS OF INFUSED OLIVE OIL through a fine mesh strainer lined with cheesecloth or a coffee filter, discarding the grated Ginger Root, Cayenne and Bay Leaf. Return the oil to the crock pot, and replace any lost to the cheesecloth, to make 16 oz. Stir in Bee’s wax. Melt over medium low heat, stirring with wand occasionally, while heating to about 145-149 degrees, at which the Bee’s Wax melts. When the last pieces of Bee’s Wax appear translucent and are almost melted, turn off heat. Stir a couple more times till no Bee’s Wax chunks are visible. Check temperature. When it has cooled to 140 degrees, stir in the Essential oils and the Mentholated Olive oil. Immediately begin ladling into the tins or jars. Fill them to within 1/4 inch of the top edge. Allow to cool for at least 2 hours before tightening lids or moving the tray. HINT: Some people prefer to pour the liquid balm into the tins. It cools very quickly during pouring and piles up on the measuring cup spout, adding more work and re-melting. I seem to get it everywhere except into the tins when using that method! I prefer to ladle it into the tins with a small, stainless ladle, even if I’ve used a Pyrex measuring cup to make it. We've been having a blast sending out little love bombs all over the country! Every day we draw a few names randomly from our suppliers and send a little surprise. This week, we have several of our friends joining in the fun! Today we had a lovely shampoo bar from Aquarian Bath to give away as well as a few of our own little things. 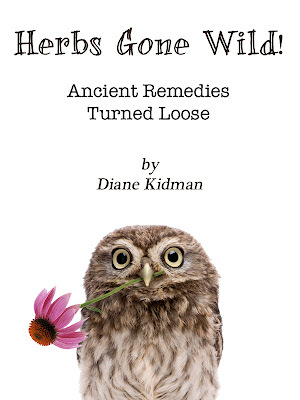 Later this week, we'll have a couple of e-books from Diane Kidman, herb blends from Backyard Patch, a gift basket from Sagescript, and a book from SunRose Aromatics. Yesterday, a lucky winner got a felted hat from ReWoolables! Everyday we also draw 3 names to send small trinkets to - usually a notepad or a spot of tea :-) You can keep up with who is winning HERE. Good luck everyone, and thank you for subscribing to The Essential Herbal magazine and helping us celebrate our 10th anniversary! There has been a lot going on around here at The Essential Herbal for the last few weeks. Getting the magazine and orders out were quickly followed by a couple of days of the upper respiratory crud that's going around, and then we moved on to organizing the celebration of the magazine's anniversary (10!) and year end stuff. Doesn't it just figure that even though we've been having a never-ending autumn here, the first chance I'd get to go play with the camera my daughter gave me would be on about the first frigid day outside? The chickweed and cleavers that were happy and healthy yesterday, are mushy now. The nettles are also finally going to get a rest. The lilac bush that leafed out last week might have some time to straighten herself out. There's a lot of interesting stuff along the edge of the yard. The windbreak is made up of large conifer trees. They grow fast. The douglas firs have shaggy cones that when young, confuse me because they look a lot like bag worms. Only when they mature am I certain that they are cones. Concolor firs are a gorgeous blue-ish tint, and their terminal end looks like a flower. I think this one loaded with cones is a canaan fir, but I'm not certain. There are still some vitex berries on the tree out back. The birds have never eaten the berries before, but this year they had a few. Coincidentally, suddenly many of the women around me are needing these fruits, and of course the birds decide to enjoy them too. There were plenty for everyone, though. I will have to watch more closely to see if perhaps specific birds have arrived because of this plant that wasn't there 5 years ago or if they just developed a taste for it. The horehound is unconcerned as the temperatures dip, and if I recall correctly, there will be some leaves through most of the winter for my teas and syrups. Last year was her first year in my border and although I don't like the taste much, it works very well on coughs and chesty issues. The sage is wearing her winter coat. I harvested very heavily this year - twice! The leaves just kept pushing, and looking at the plant now one might wonder if any harvesting had taken place. The leaves were not this hairy in the summer. This wee yard weed - I think veronica - is just starting to freeze at the tips of the tiny leaves. Soon enough, everything will get a blanket of snow. There have been a few years when we've gotten no snow, but I suspect once this winter gets rolling it we'll forget all about how many people cut their trees in shorts this year. In '10, it didn't snow at all until February, and then we had some hum-dingers. That Nature, she keeps us guessing! The Essential Herbal 10th anniversary drawing. If you are a subscriber, you will want to bookmark this page. The winners will be listed by first name, last initial, and state. There will be at least 3 winners a day. New and renewing subscribers during the month will be added as they come in. Cari C, TX who will receive bath tea from Wonderland Herbal! We are finished now with this month of wildly sending out random gifts to subscribers of The Essential Herbal - the print magazine. However, for the rest of the year we will be adding a gift to every boxed shipment. Congratulations to the winners, and thanks to everyone for playing along. As we roll over into a new year, it's hard not to look back just a little bit further. In the last third of my life, changes have occurred that have been so immense that it is difficult to comprehend sometimes. A huge portion of the population never knew a world that didn't include the internet, cell phones, cable tv, texts, email, or any of the other instant forms of communication. These things have changed our world in a way that makes it almost impossible to remember "before". I used to marvel that my grandmother lived in a world that progressed from horses and carriages to rocket ships. I wondered how a person could be flexible enough to embrace that much change. Scurrying around yesterday trying to tie up loose year-end tasks for The Essential Herbal magazine, I started thinking about how much the act of running a business has changed over the years. My mother started a business when I was little. I can remember that she purchased a rubber stamp that she used to make postcards to send to prospective customers, since you couldn't just print something out in multiple copies. She had a paper cutter, and that made her pretty upscale. All bills and payments went through the mail, and she sent her deposits to the bank via the mail. It took a week or more for them to show up in her account, but that didn't matter too much because everything was slower. Later, my sister and I started a business. 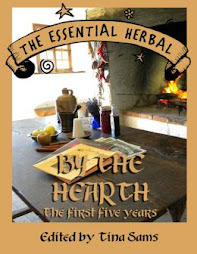 It was a retail herb shop at a renaissance faire (later expanded to a full-time independent shop), and finding sources to stock our shop was a real challenge. We phoned or wrote letters (on company letterhead, if you please) to companies to ask if they wholesaled and if so, could we please have a catalog. We traveled to wholesale shows. We scoured trade magazines. People protected their sources with a zeal that is unimaginable these days. I remember another vendor at the faire who cut all identifying printing off boxes before putting them out for trash pick-up. Records were kept on hand-written ledgers and totaled by hand with an adding machine that had long rolls of paper so you could check your work. At first, people started getting the idea that email might be okay. It was fun to meet someone and ask, "do you have email? ", and thrilling to find that sometimes they did, and it would be easy to stay in touch. Friendships that would have been a one time meeting turned into lifelong relationships. Websites started populating the world wide web, and within a few years people started to get comfortable ordering items online. Some of us might remember the early days of listserves and forums, the free-for-alls when folks were trying to learn how to communicate with hundreds or thousands of unknown others, and sometimes failing miserable. Oh the flame wars of the early days, before people learned to filter and censor themselves! In some ways, I miss that raw and honest stuff. In other ways I am thankful that it evolved. Now I'm watching how this instant communication is helping people to organize, start and run businesses at the drop of a hat, talk to anyone, anywhere with nary a thought to the sheer miracle that it really is. I wonder how much more change is coming. Last night at dinner the conversation included discussion on artificial intelligence, and how many problems it could solve. Of course my 20th century sensibilities immediately hear, "I'm sorry Dave. I can't do that." So here's to jumping into another year that will undoubtedly bring changes that I am unable to imagine. Let's hope they're good ones!